This project seeks to accomplish two key objectives. First, it will improve the resolution and accuracy of inundation modeling in the Great Bay estuary through development of an unstructured grid modeling platform. 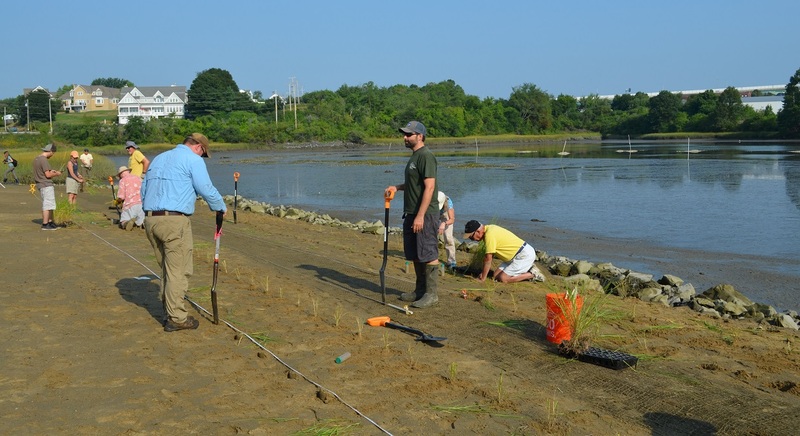 Second, it will explore and promote best practices for green infrastructure installations that promote flood resiliency and shoreline protection in the Great Bay estuary and coordinate outreach through workshops and other materials. The New Hampshire project team is part of a larger regional team that includes the Northeast Regional Ocean Council, NERACOOS, and representatives from research institutions and state CZM programs from all states in the Northeast Region.